Color Louisiana State University's chancellor, Mike Martin, the most surprised man in Baton Rouge -- at least until he got to Page 6A of his morning newspaper. 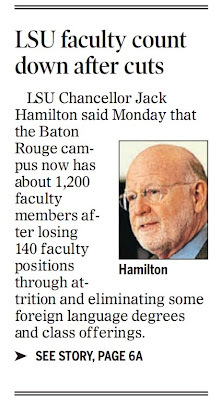 Meanwhile, Provost Jack Hamilton -- the school's former dean of mass communications -- might be forgiven for fervently praying that The Advocate didn't employ as many LSU journalism grads as it used to. Having Lizzie Borden in the governor's mansion is bad enough without the Ol' War Skule getting blamed for the "Why try harder?" 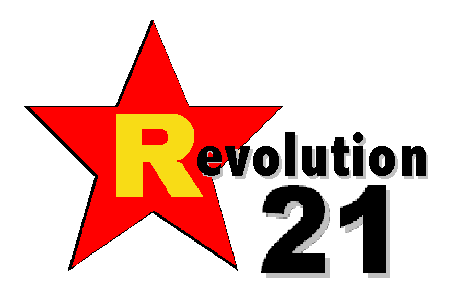 ethos of the state's No. 2 daily newspaper. "Fred Preaus is an honest man. If I were buying a Ford car, I'd buy it from Fred Preaus. He would give me a good deal. If I had trouble with the car, he'd give me a loaner while he got it fixed — that's just the kind of man he is. But if I was buying two Fords — well, he's just not big enough to handle a deal that size." "BUT DAT DON'T make no sense," you might say. Uncle Earl may have been crazy, but he wasn't dumb. Some things just don't change much, you know? And you can substitute a lot of names for that of ol' Fred Preaus. Simply '70s: Who the hell knew? OK, just one more. . . .
Do not pass 'Go'. . . . It's the big MLK Day blowout! Truth > fiction? Almost always. Simply '70s: Woot! Woot! Let's all pledge! Take the picture. Move along. Can you help a mayor out?